We have reached another milepost in our travels around Saturn and a moment to commemorate and reflect on the astonishing events that unfolded ten years ago today: the landing of the Huygens probe on the equatorial plains of Saturn's largest, haze-enshrouded moon, Titan. "We are about to enter a cold and misty wilderness, never before touched by anything human. This will be a tale to tell, of exploration, discovery and intrigue, not unlike those told by Jules Verne a century and a half ago. Only this time, it will be real. Ladies and gentlemen ... prepare to make contact." And I will never forget the night that we did. Stationed at the European Space Operations Center in Darmstadt, Germany, along with many others, I was there to witness for myself the early reports of Huygens' landfall. We had safely guided our craft through the murk and onto the surface, and it was joyous. The images taken by the falling probe and released to the public that night were everything our images from orbit were not: unfiltered, exquisitely detailed views of the moon's surface and unambiguous in their account. They told of a bright region, bounded by what looked for all the world like a shoreline, and etched by a dendritic drainage system that could only have been made by a liquid draining through narrow channels, across that shoreline, and onto the dark, formless plain next door. It was circumstantial but incontrovertible evidence for the liquid hydrocarbons that we had strained from orbit to find and thrilling beyond measure. It was soon to be followed, after landing, by another unforgettable sight, under a cloudy sky and across a cobble-strewn ground to the moon's horizon in the distance. Was I really living through all this? I distinctly recall the dreamy feeling of being in one universe one moment and in another universe the next. But it was no dream. 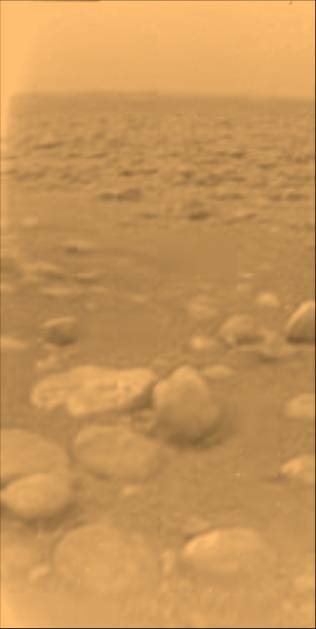 We had, without doubt, journeyed to Titan, ten times farther from the Sun than the Earth, and touched it. The solar system suddenly seemed a very much smaller place. 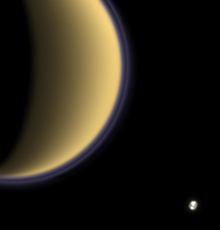 There will be more of Titan in the upcoming three remaining years of Cassini's travels. But on this day as we commemorate that magic moment when we landed on a moon of Saturn, we remember also the many wondrous things we have found there in the succeeding ten years, and thank the great singularity in the sky that we lived to see it all happen. Space.com is reporting that NASA is considering a mission to Enceladus in 2021 to search for life. It is good to know that you will be taking posts at the two institutions. I am sure you will bring that knowledge to the imaging team and hopefully to us too. I look forward with interest to your posts over the coming years!! Congratulations Dr. Porco on your appointments to the University of California as a Distinguished Scholar, and as a Fellow to the California Academy of Sciences. Best of all, you'll be continuing to lead us here. i have hesitated and gone back and forth with myself about responding to bwleung because it is so far off topic. i am very glad when anyone cares enough to want to respond to my situation, but inappropriate responses can do me more harm than good. perhaps bwleung didn't notice when i said "i am physically unable to sustain gainful employment"
being offered a job i can't do is no help. what would help is competent, thorough primary medical care services. a thing i have never had in my adult life, and is apparently becoming extinct in the US. or a shelter where the air quality is actually good enough i don't end up hemorrhaging. on a happier note, one of the other things i do for stress relief is write science fiction. i am closing in on the end of a novel i titled "Ringshine" several of the moons of Saturn we have become familiar with through Ciclops, as well as the ring system, play important rolls in the climax of the novel. i'll let you know when it's finished. if anyone here want to read it we'll figure out a way to get it to you. ten years ago today, i had been homeless for about half a year. i never had the opportunity to see the live coverage. i got to the library and found the images on the web. in a world where too many believe they can assault and attack me solely because i am physically unable to sustain gainful employment, i am glad to have had the ten years of images and science here. it has been a refuge and a stress relief. i am still homeless. 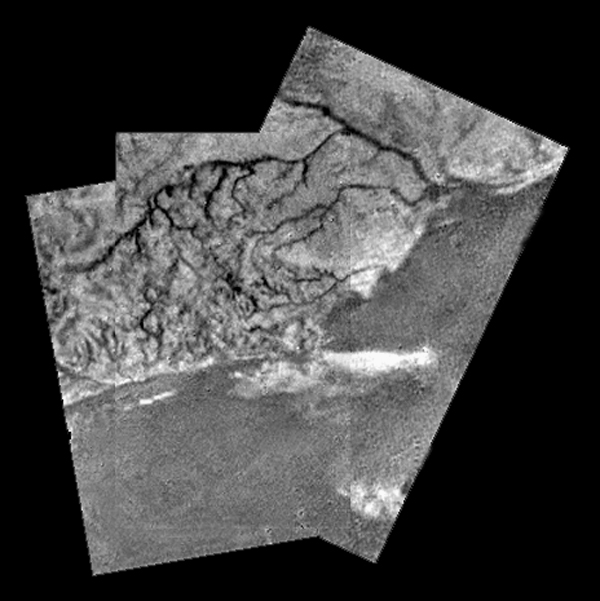 have no hope of ever being anything else, and still enjoy the breathtaking and at at times startling images Cassini and Huygens cameras have brought us. i would not have survived without them. Carolyn, thanks for reminding us of that wonderful time. I did an outreach event at the Dallas Science Place the night of SOI with a live feed for the board members. Wonderful! Later, your "force of nature" passion during the Huygens event far outshadowed the unfortunate analogy by John Zarnecki's team that we just landed in Crème Brulee. Good thing ESA had you around to make it real as many viewers probably lacked sufficient context to square Huygens, Titan and Crème Brulee. Just an added note: Thank you so much, Caroline. As a displaced Martian longing to go home, I have never been more proud of my species. We have accomplished much, but there is so much more to be done. The images we have are emotionally moving, astounding, and wonderful. Now, let's take our rock hammers in hand and go do some real hands-on science. And someone, please take me home. Like our Captain, I too have been in awe over the images...with more to come. I wish we could bring Verne and a few thousand others back for a day to enjoy these wonders with us.